We've got a cool way for you to stash your cash! 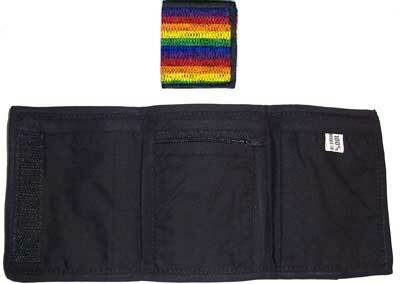 This Woven Rainbow Wallet is perfect for everyone. Plenty of room for all your stuff and priced right so it won't "put a dent in your wallet". Perfect for you, or the perfect gift for someone else.